The sharp eyed among you may have noticed in our report on Razer’s (HKG:1337) earnings recently (here) that the company had made an investment in a little heard of company called MOL Global. Well today Razer announced its intention to fully acquire the remaining shares in the company and turn it into a subsidiary of the brand. Who is MOL Global and what on earth do they have to do with mega gaming brand Razer? Appropriate questions, particularly given the market reaction to the announcement (the stock closed today at HK$2.44 after losing over 4%), let’s look into it then. We all know Razer of course. Some of us love them, some of us hate them, many more of us are probably somewhere in between. The key thing that we all know however is that this is a gaming company. It’s right there in the company tagline “For gamers. By gamers”. Since its IPO last year, Min-Liang Tan is generally introduced these days as the CEO, but before the little mouse company that could grew up, he was also known as Gamer in Chief. Absolutely, Razer is all about gaming, however, these days we’re seeing the seeds of something more. A firm with a war chest and a bold eye on where to spend it. THX and Nextbit are of course the most known of its acquisitions leading to expensive audio (hello incoming THX Certified Nommo Pro speakers) and the Razer Phone. These companies at least had something in line with the traditional gamer ethos of the company, but now we have MOL Global, a Malaysian e-payments firm. Wait, what? Razer Buying Online Payment Processor – What Gives? It should come as no surprise to most that some of the biggest technology businesses these days are less about products and more about platforms. Uber? Platform. Airbnb? Platform. Manbang (Yes, that’s a real company, look for our piece on that also today where it’s about to get $2bn from SoftBank and Google)? You guessed it, platform. Even places which are traditionally product companies are trying to convert themselves into platform companies. A lot of people throw the buzzword of platform around these days and try to convert without really understanding what it’s all about, but it would appear that Razer at least has an inkling of the platform concept and is trying to build into it. Some of you may be familiar with Razer’s burgeoning digital cash ecosystem for gamers. Dubbed “zGold” and “zSilver”, one you pay for (Gold) and one you get rewarded with (Silver). The basic premise is that as you game on the Razer platform, you get rewards which stack up towards discounts on Razer gear or (after A LOT of gaming), free gear. Given the peripherals business is currently giving the best margins at Razer, that’s probably not the end of the world but keep in mind, the company is still making a loss. Even so, in the digital age there is of course the feeling that the more data you have on your client base, the better you can monetise it. Recent testimony from Facebook of course shows this to be the case. Will gamer passions on the Razer network ultimately be worth as much as Facebook likes? It seems unlikely in the short term, but it also seems likely that Razer has enough money to run that bet for at least the medium term, maybe even the longer term. Well, now is where we get to the interesting bit. 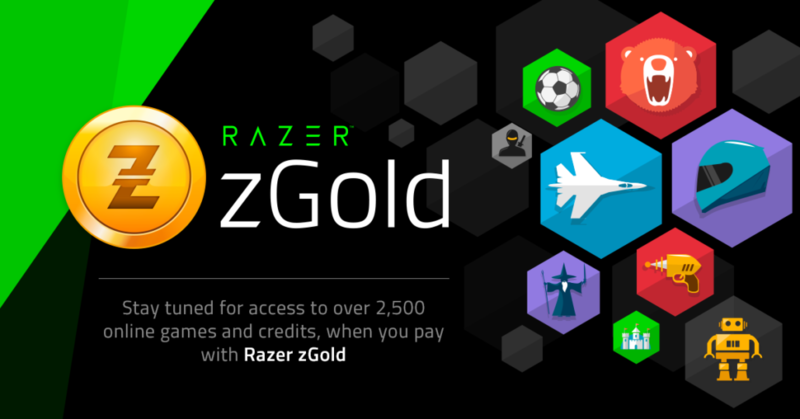 MOL Global is the firm which Razer initially partnered with to deliver on its zGold digital gamer currency system and when it did that, it also took a stake in the company. A stake which ramped up to about 35% last quarter and is now going to be finalised with Razer acquiring the remaining approximately 65% of the firm for US$61 million. The press release states that although the proposed merger is subject to the approval of MOL Global’s shareholders, Razer already has irrevocable undertakings from other major shareholders to vote in favour of the merger which will, when added to its existing 35% stake be enough to push it across the finish line. MOL Global operates one of the largest e-payment networks in Southeast Asia, having handled over US$1.1 billion in 2017. It seems unlikely that Razer is buying it to shut down everything except the zCurrency business so Razer investors can welcome a new business line to the ever expanding revenue streams of the firm, as well as better integration with its existing digital gamer currency network in the future, an aspect which serves to both drive gamer lock-in as well as habit tracking. For now of course, gamers continue to trust in the “For gamers. By gamers.” mantra of the company.